Sambuca is a reputed restaurant that proudly serves innumerable tasty American dishes along with entertaining live music. The restaurant is located at downtown Houston. They have specialized lunch and dinner services and even bar. They offer a complete package of entertainment, refreshment and food. They are perfect for rehearsal dinner, pharmaceutical seminar, business or wedding luncheon etc. Enjoy splendid music ranging from acoustic pop and rock to the top forty hits while enjoying your food or party with your friends and family. They even offer a variety of choices ranging from pasta entrees, streak and seafoods. However, they are highly noted for Zebra Pasta filled with shrimp, scallops and lobster. There are currently 0 consumer reviews about Sambuca available. Share your review. Please take a note that you are about to post a public review about Sambuca corporate office on CorporateOffice.com. This review will be public, so please do not post any of your personal information on this website. 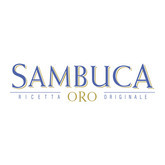 If you would like to contact the corporate offices of Sambuca, please use their contact information such as their phone number, website, and address listed above to contact them. However, sometimes staff from Sambuca headquarters do read the reviews on this website.